You probably buy shoutouts a lot, because they are a very important factor when it comes to driving traffic to your website and improving SEO & SERP. Most of the time, those shoutouts you buy, don't bring any traffic or conversions and Google finds their footprints and disavows your website. 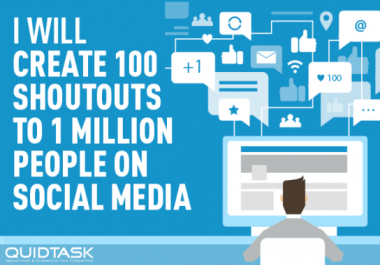 We will build 100 PR9 ORGANIC SHOUTOUTS from the Top Social Networks, that also act as PR9 Social Signals. 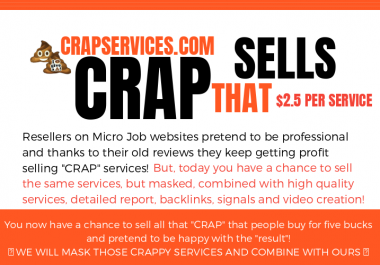 The best thing about this is that you will get those shoutouts from SOURCES WITH ESTABLISHED AUDIENCE with ZERO FOOTPRINTS that will also PROMOTE your website and bring TONS OF TRAFFIC. Custom Video Creation, Submission and BacklinkingThe most important thing about this service is that here we also create a video related to your website, content and keywords. We also provide a submission for the video on the top video sharing sites. Once the video is submitted, we will include it in the final report of our work and also offer additional promotion for it. It will bring organic visitors from video sharing websites and stay up permanently. Plus, you will get a HIGH AUTHORITY backlink (PR9-PR7 video sharing networks are used) in the video description. 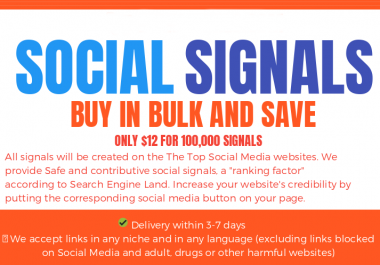 This package contains Shoutouts from Top Social Networks that are a very important factor for bringing Traffic and improving SERP & SEO. It also contains promotion to aged social properties that will promote you and bring traffic. Purchase this service to promote any website, brand business or product - your own or your client's one. How this works?After ordering this service, you will only be asked for the link/URL of your website and your message. The Organic Shoutouts are from Top Social Networks and the Social Signals are from aged properties, which means that the people are 100% Real and this can be proven. This is a legal way to promote and build your social presence, it's not with bots. 100 TRUSTED SHOUTOUTS are MORE than 1000 Fake Untrusted Spam Shoutouts. Your link may receive visits and have SERP and search rank increased, but that can't be guaranteed. Naturally, we can't control our follower-base's and search engine actions. We reserve the right to cancel any order if we don't feel comfortable working with the buyer or if we find the content being promoted offensive or not interesting for our fan base.